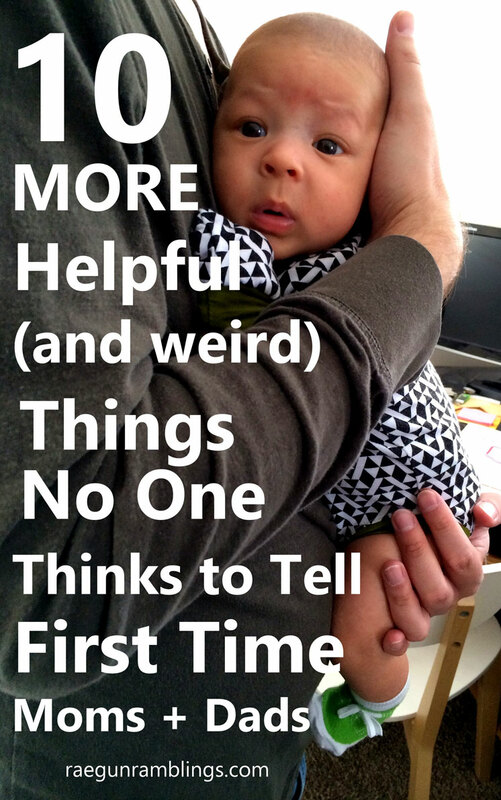 My very most popular post is my list of Tips and Tricks People Forget to Tell New Moms. So I’m super excited to bring you even more things I’ve learned the hard way that people should tell first time moms and dads! 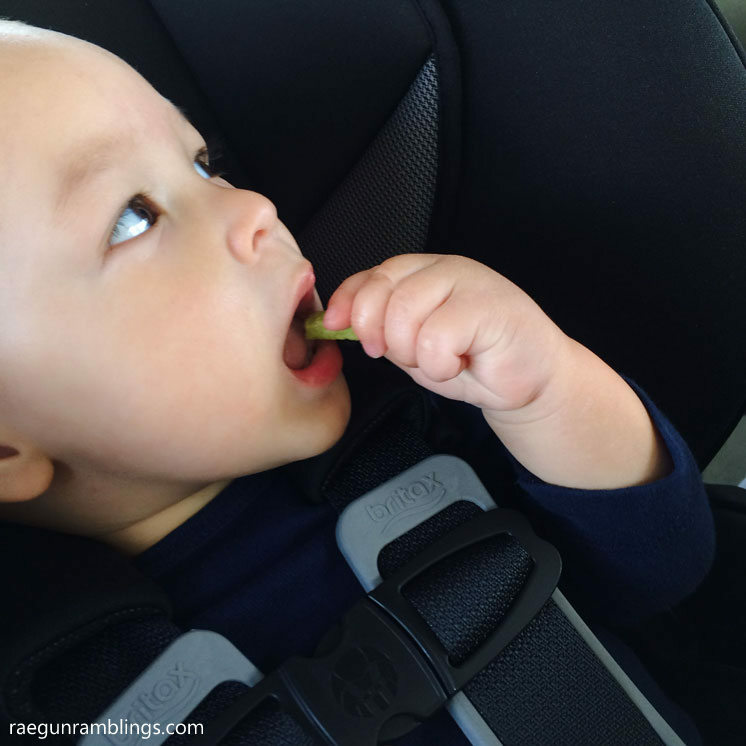 After that first post of things no one tells new moms I had lots of readers share the other things they wish someone had told them and in my own daily life I kept finding myself thinking I should have put this on the list. 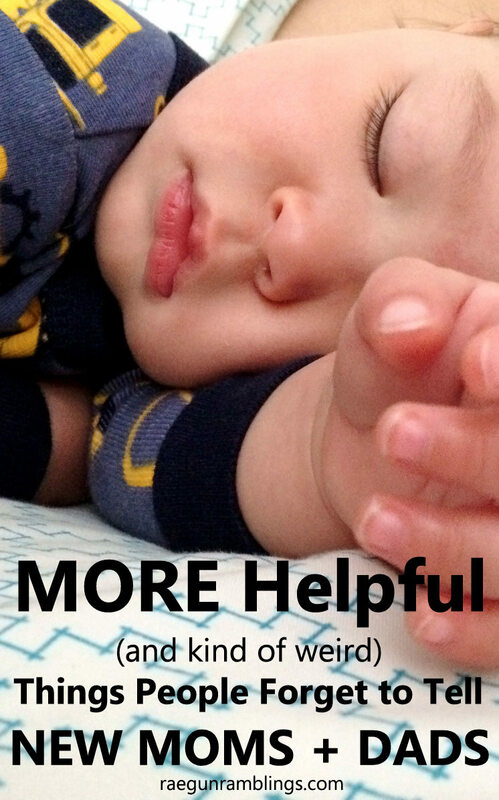 So in no particular order here are More helpful tidbits I wish someone had told me as a new mom. I didn’t get this when I wrote my first list. I was so stressed about sleep. I wasn’t getting any of it and once we figured out night time sleep I was stressed that Teddy wasn’t napping on his own. But since then I’ve realized that IT IS ALL A PHASE. Like really. They grow up so fast and the things we’re tempted to agonize about will be over before long. Why was I so concerned about holding my baby for nap? My days of holding a baby (or kid now) who will let me hold him are numbered. When they are babies and toddlers things change so fast. You can stress about figuring stuff out and get things down but soon after you do, things will be completely different so honestly try not to stress that much. Did you know this? Umm yeah because they do. When Teddy was smaller I thought he’d have fun with stickers so I stuck a few on him only to find him trying to shove them into his mouth. I relayed this experience to my girlfriends thinking it was so silly and they said “oh yeah they do that”. What!? That’s like a thing? It would have been nice for someone to warn me. I was totally paying attention so Teddy wasn’t in any real danger since I snatched them away before he got them in his mouth. But still that is kind of dangerous. I wish someone had mentioned it to me before. Speaking of trying to eat things. Let’s talk about balloons. For the record I knew this one but I’ve been shocked at the number of people I’ve met who don’t know that balloons are very dangerous to babies and toddlers or who tried to give my baby a balloon but not watch him with it or were about to let him try and chew on one. Not counting food, balloons are the most common cause of choking death in babies. The flimsy latex contours to the airway and blocks it off. Don’t let babies have balloon unless you can give them 100% of your attention. And by all means do not let them put balloons (inflated or deflated whether waiting to be blown up or popped) in their mouths. Since most babies put everything in their mouths I vote to keep them completely away from their faces and in your own hands just to be on the safe side. This relates to #1. Everything is a phase and it moves so fast. You go from one thing to another and you’d think you’d have time to research your parenting options and decide how you feel about different things but you guys it all happens so fast and if you’re like most people you won’t be getting much sleep so your brain isn’t going to be working. I WISH that I had read a few parenting books on the big topics like sleep, and eating, and maybe a catch all first two years what to expect type of book while I was pregnant. Not that I think you can totally plan but I would have liked to know a few of the different approaches to the whole sleep thing and ideas to try BEFORE I was in the throws of extreme sleep deprivation. You think you’ll have time since you’ll be feeding them a lot but if you’re like me you’ll wish you had checked out some books sooner. I’d recommend taking a peek at things you think might come up through the first 2 years. I’ve already mentioned (and if you’ve been around here from a while you KNOW) we got terrible sleep while Teddy was a baby. Like until he was around 2. I’m a natural worrier and let me tell you nothing makes you worry more than the possibility that your baby is not safe. There are so many sad stories about babies dying in their sleep. Every year 3,500 babies while they are asleep, that’s more than 10 times those that die in car accidents. I think almost all moms remember that first time their baby slept through the night mostly because we weren’t asleep ourselves. We were all stressed that something might be wrong but not sure if we should check on the baby and risk waking him or her. I wish wish wish that I had an Owlet Baby Monitor when Teddy was an infant. I have a number of friends that have used it lately and I’ve been totally jealous. 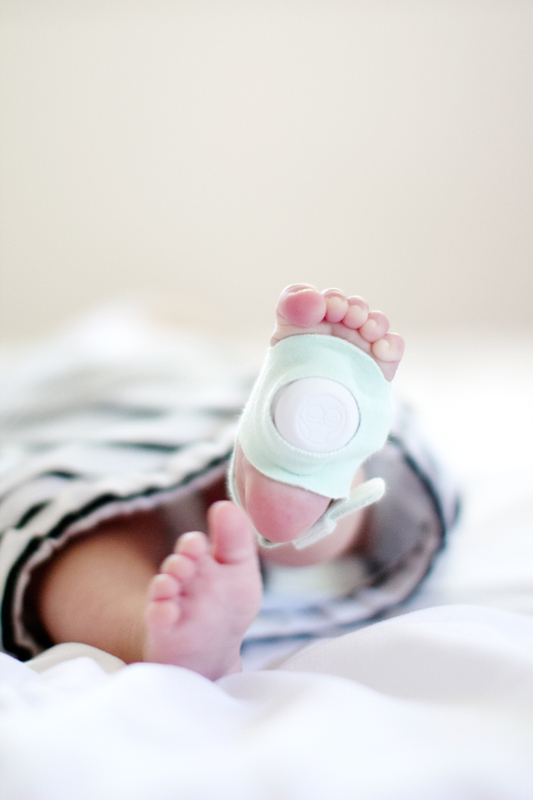 If you’re not familiar with the device it is the only baby monitor that uses hospital technology—pulse oximetry—designed to alert you if your baby stops breathing. All that amazing technology is placed into a tiny, snuggly baby sock that the little one wears to bed. It’s totally wireless and connects via bluetooth to a base station and Wi-Fi to any smartphone so you can view live vitals. I did not have many opportunities to sleep since my baby was a “bad sleeper”. But even when he did actually sleep I was filled with anxiety that something would happen which made falling asleep (for the short periods that he was down) really hard. I think I would have slept so much better and easier if I had one of these to ease my worries! Is your mind blown because mine was! I must have just been lucky because I put Teddy in swim diapers on the way to the pool MANY times. But it wasn’t until he totally soaked his outfit at the children’s museum, when he was almost 2, that I realized that swim diapers don’t hold in liquid. That is how they keep from getting heavy in the water. They are just meant to keep poop out of the pool. I guess it makes sense in retrospect but really why didn’t someone tell me this!!!? So there I told you. So this is a sillier one but really, why do swim diapers and pull ups have to look SO similar? Color and all. Let me tell you how you can tell the difference when you’re in the water: the diaper will swell to about 10 times the size of normal, get heavy, and the absorbent beads can burst out of the diaper. I’ve been guilty of the mix up and been around to witness more than one other mom who managed to mix up the two diapers. If you pay attention when getting ready to swim you’ll be fine but it’s so easy just to go fast and mix them up. Especially if you receive a lot of newborn sized clothing you will probably be tempted to wash those puppies up and get them all cozy in a drawer but some babies are born too big for new born sizes. Maybe wash a few and wait to see just in case you want to return some of the itty bitty clothes. The same goes for toys and other gear. You might think you want it before baby is here but once you try it out it might not be your thing. Keep the packaging and gift receipts just in case. Maybe it’s not exactly one month for everyone but there will be a time near the beginning where you think oh my gosh we’ve had this baby for a while now and it’s still SO HARD what is going on. It makes those very first newborn days seem like cake because in comparison they were. You’ll have less help, if you had visitors or people coming in, or if you or your partner partner that had baby leave and have to start working again. You’ll just feel like you ought to be able to “do more” or that things should be easier but they aren’t yet. But you know what you’re probably all sleep deprived and it’s had all that time to compound. But I promise it will get better. I just want to warn you that there is this point for most of us where it feels like it should have gotten better by now and it hasn’t. Don’t be discouraged that is totally normal and it’s still coming it WILL get better. Things happen fast (even if they happen really slowly) and you are so tired after giving birth and the hormones and emotions are raging. I really regret not telling (or having my husband tell) people to get out of the room. I had been up ALL NIGHT birthing a child with a super long pushing periodd and people were around and I could not rest. I just wanted piece and to be able to try to sleep. But I felt rude and selfish not to mention totally awkward getting up in my open flap gown all bloody and groggy crossing the room in front of people to go to the bathroom. But you know what everyone else could see the baby later. They could peek in for a quick hello but they did not need to be there in those first hours. I wish I had thought through that stuff before I was there and set some ground rules. In addition to the sleep I needed time to try and figure out nursing WITHOUT AN AUDIENCE. Related to the hospital visitors I really regret not taking my photographer friend up on her offer to come do some birth photos. She didn’t push because you know I had just given birth but I wish that I had decided before I went in that that was just one of the things we were going to do because in the moment I felt disgusting, exhausted, and the idea of being photographed sounded horrible but now I feel like I really missed out. 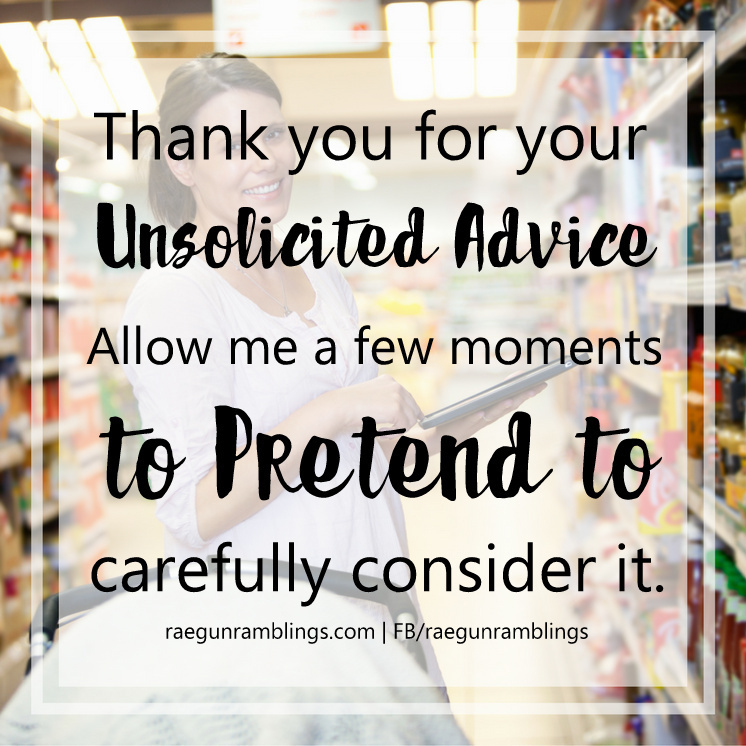 If you’re not already getting bombarded with unsolicited advice from family, friends, acquaintances, and random strangers be prepared. For some reason a pregnant woman or really anyone with an infant is like a magnet for the “experts” to “share” their “advice”. Some might actually be helpful, some might be well meaning, but others will be rude, obnoxious, and flat out wrong. Just remember you are the one who gets to decide how you want to parent. Even if it’s not the same way all your friends and family have chosen it doesn’t matter. Go the way your gut and your own research leads. You can even question the doctors and honestly I encourage you to do that if anything feels wrong check things out do research and ask them to explain their reasoning. There are SO many ways to parent that helps you keep your children safe and grow into awesome adults don’t feel bullied into one way from other people. And remember you can change your mind and try different things out as you learn and experience more. See what works for you, your family, and this particular baby. 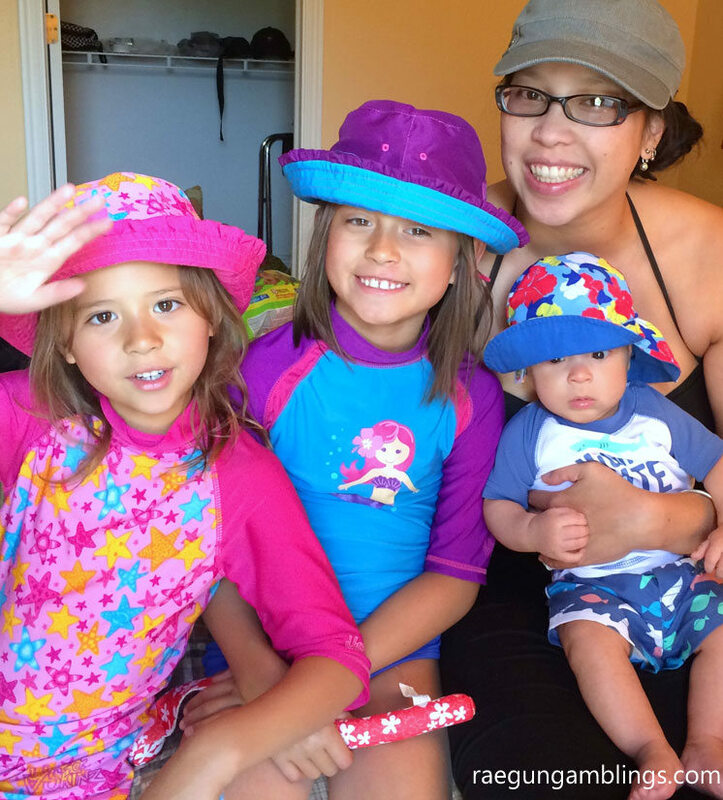 Even within the same family different things might work for different kids. And above all make sure you let yourself enjoy your little ones.